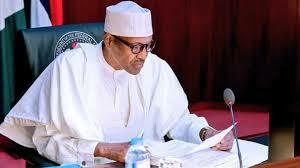 (nan)President Muhammadu Buhari has frowned at some actions and decisions of the 8th National Assembly, saying such activities remain regrettable. The president, who made his feeling known when he hosted state governors and senators-elect of the All Progressives Congress (APC) to a dinner at the Presidential Villa, Abuja, on Monday night. President Buhari particularly cited the deliberate and persistent delay in passing the nation’s annual budget by the national assembly. He, therefore, challenged the in-coming 9th national assembly to do things differently from the outgoing 8th senate so as to enable his administration achieve its target of transforming the nation. “This is my fifth and last time of standing for an election – for that reason I’ll like to leave something behind. “And what I want to leave cannot be successfully done without your support. “So, that is why I’m appealing for your support. What happened in the last senate and so on is regrettable because I still feel it shouldn’t take seven months to pass a budget. You have a very, very serious job ahead of you.